WHOOPS! 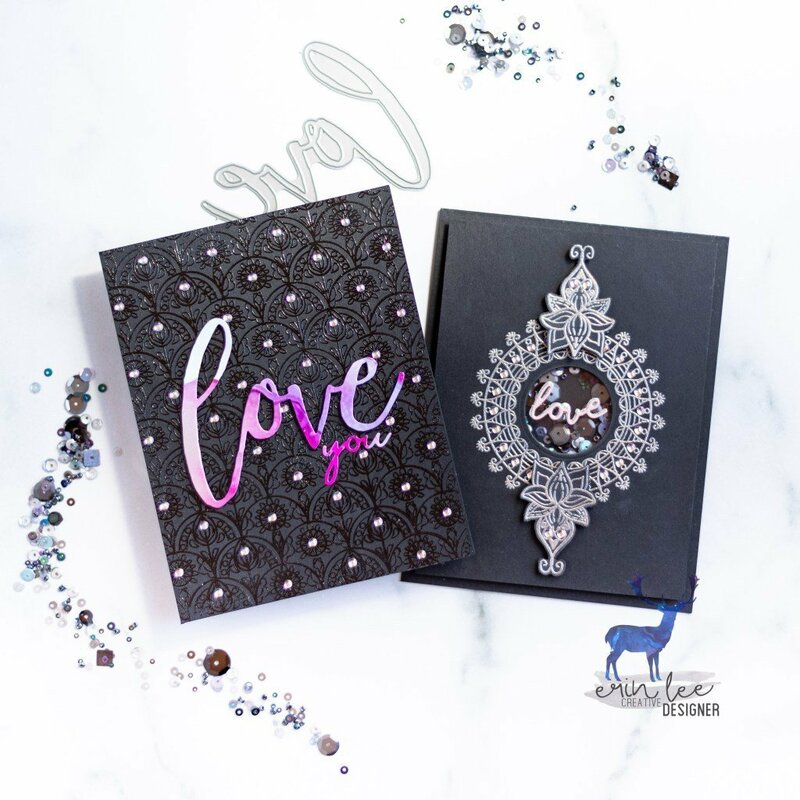 I totally forgot to post my past few Unity Stamp of the Week cards on my blog. 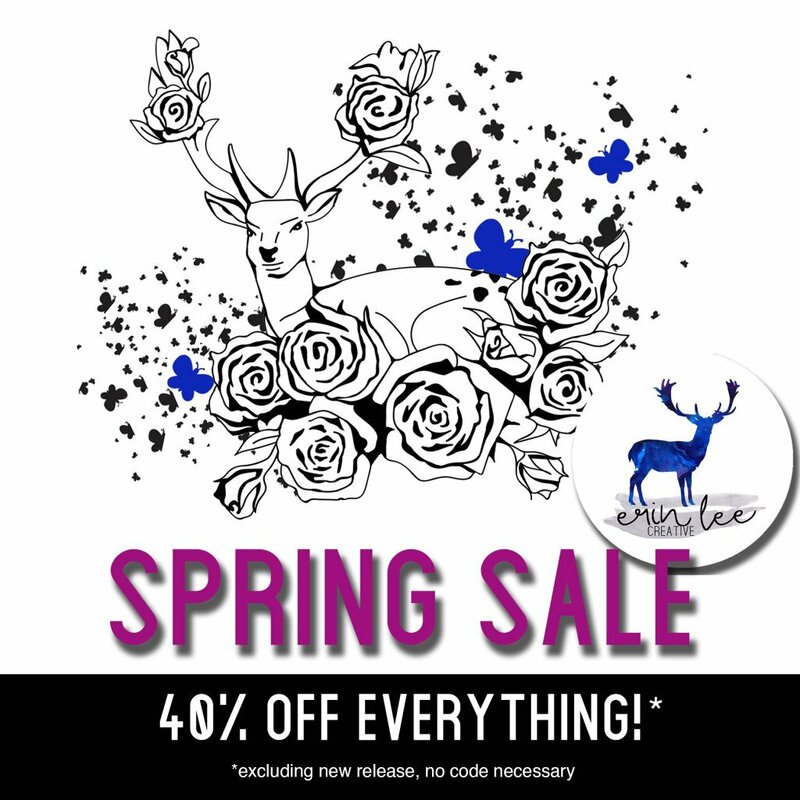 So, time for a quick catch-up post. 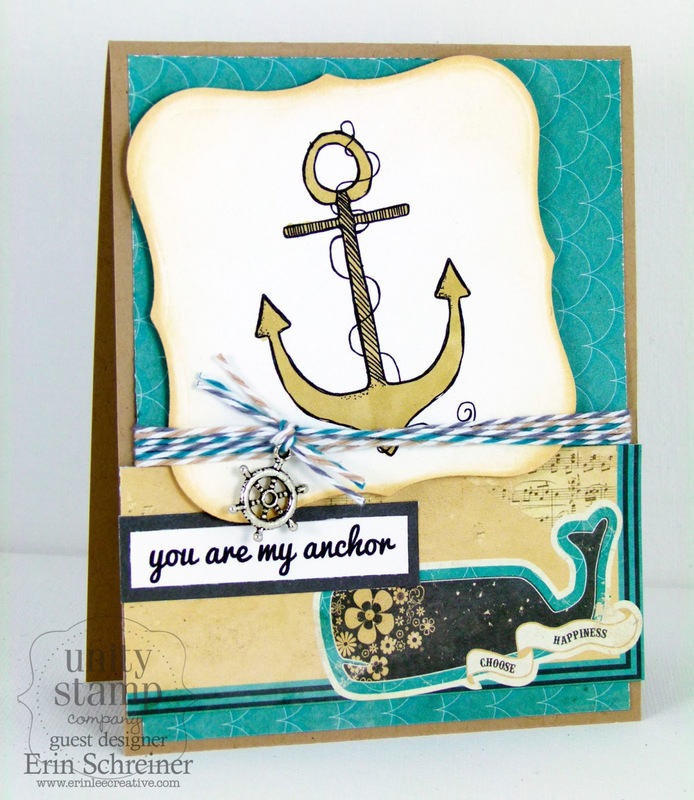 For this card, I used Glitz Design’s Unchartered Waters stack (looooove) and You Are My Anchor. Love the anchor trend right now. 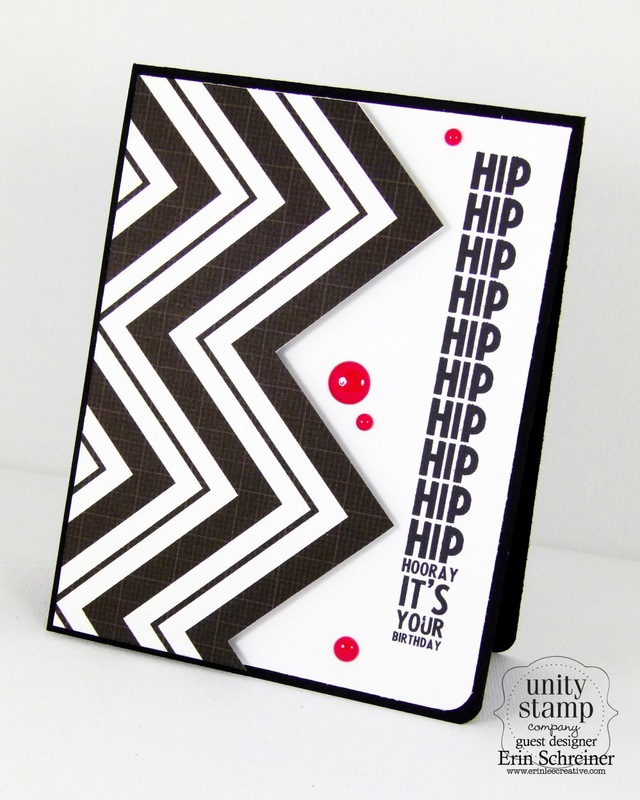 Next, I used Hip Hip Hooray for this sentiment only card. 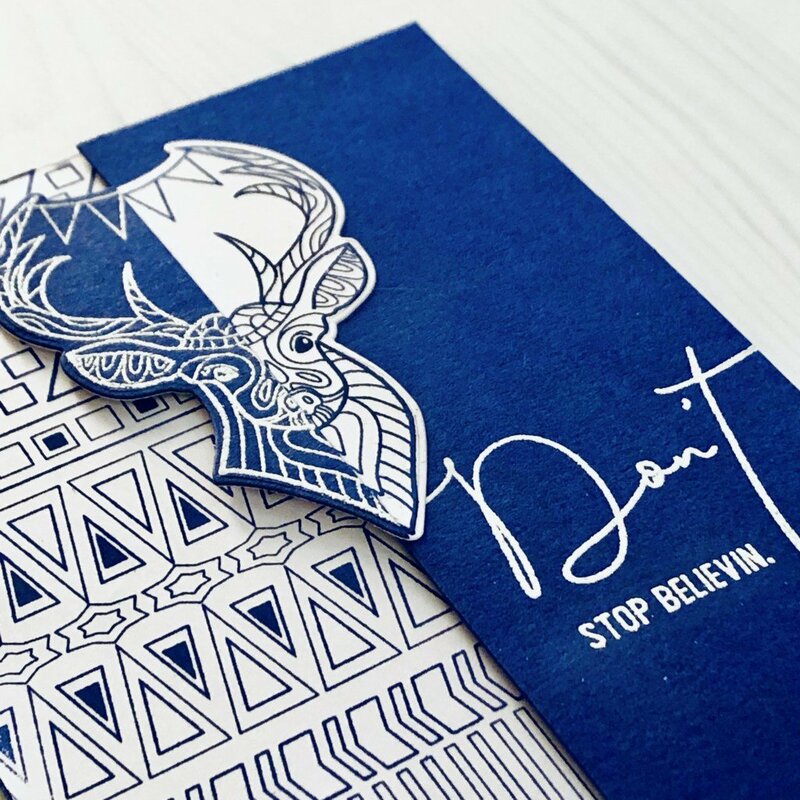 The chevron makes the card pop and I wanted to add a little pop of color with a few red enamel dots. Love those things right now! Okay, that’s it! 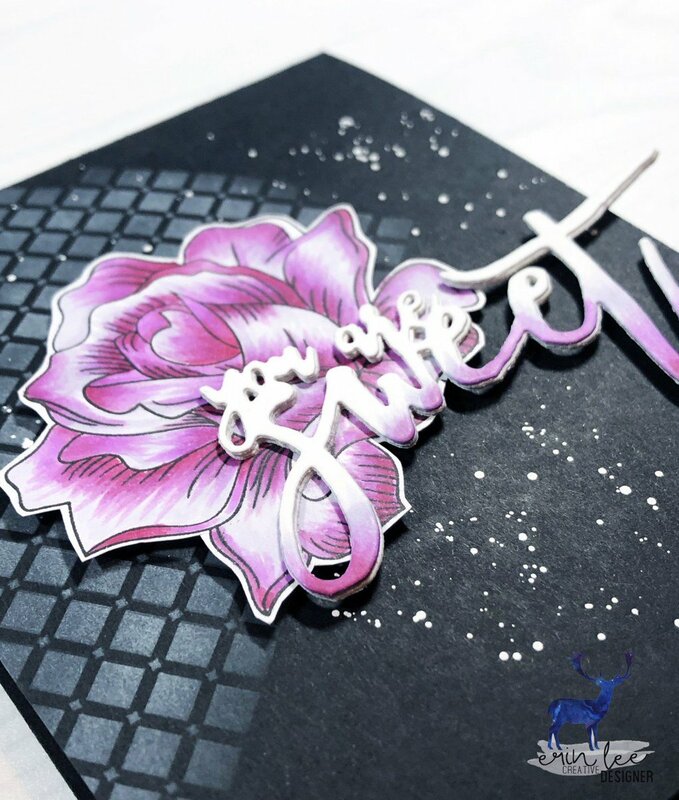 Quick and easy post today 🙂 See you back here tomorrow for Unity’s hop!